Result: I've only tried a few products from Bourjois and happy with the quality they are. 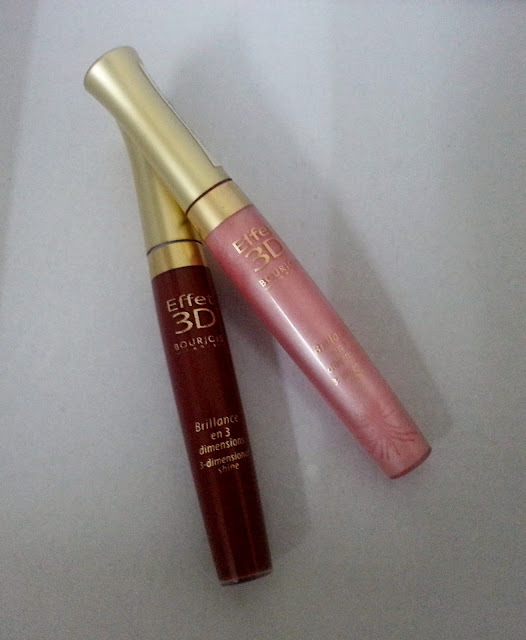 I've already reviewed the Effect 3D lip gloss in Beige Elastic (review here) and gave two more shades a try. First is no. 3 Rose Idyllic, which is a very sheer pearly pink. 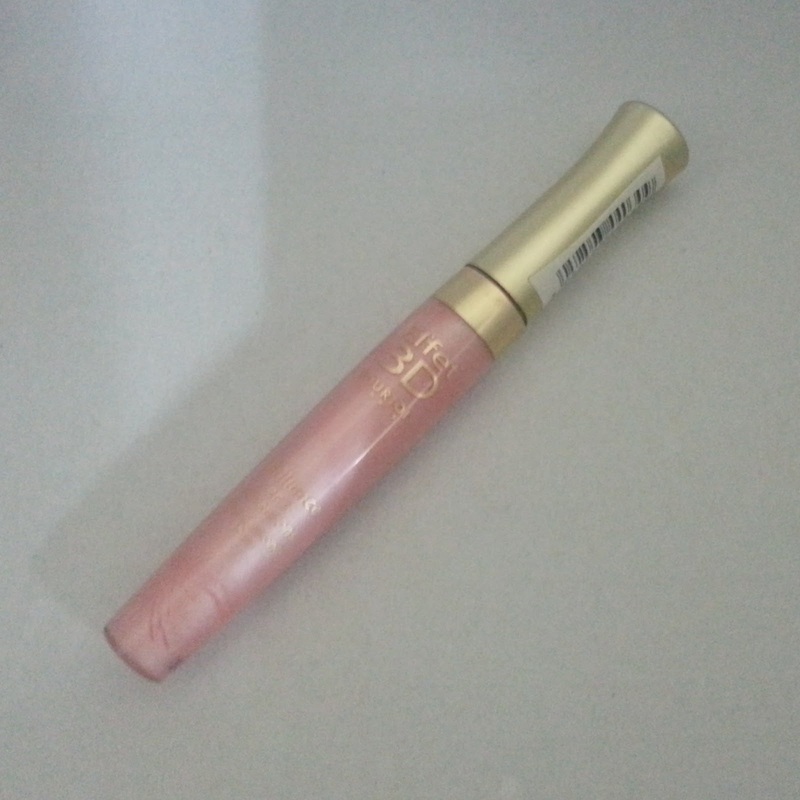 Its formulation is water based and has more of a pearl or metallic finish to it and I didn't kind of like it because, I feel it is more suitable for fair skin tones, as it gave me a dull feeling when I tried it on. But if you have medium skin and still want to go for it, it's better to mix it up with another shade and wear. Second is no. 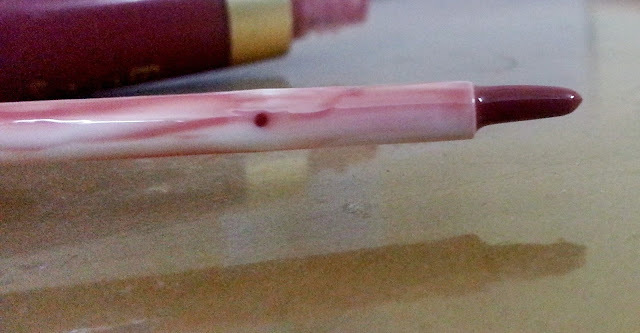 44 Canelle Unic which is a beautiful brown shade with red undertones. 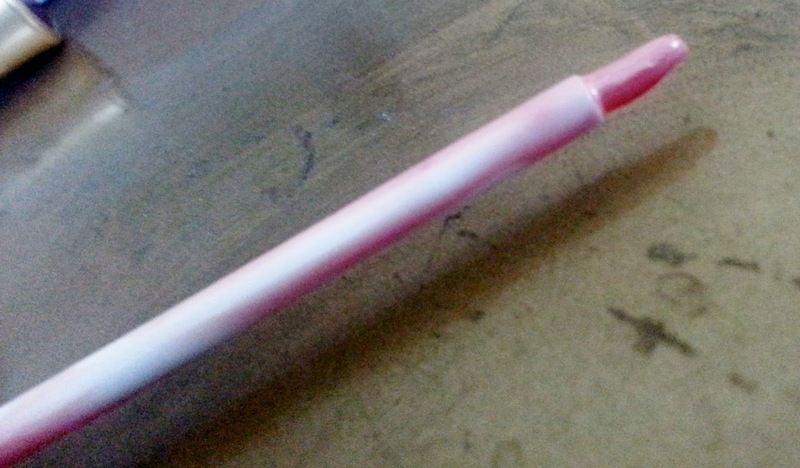 It felt like, it's more of a lip stain than a gloss. That's how it applies (streaky) and the finish is sheer as compared to the color appearing from the tube. 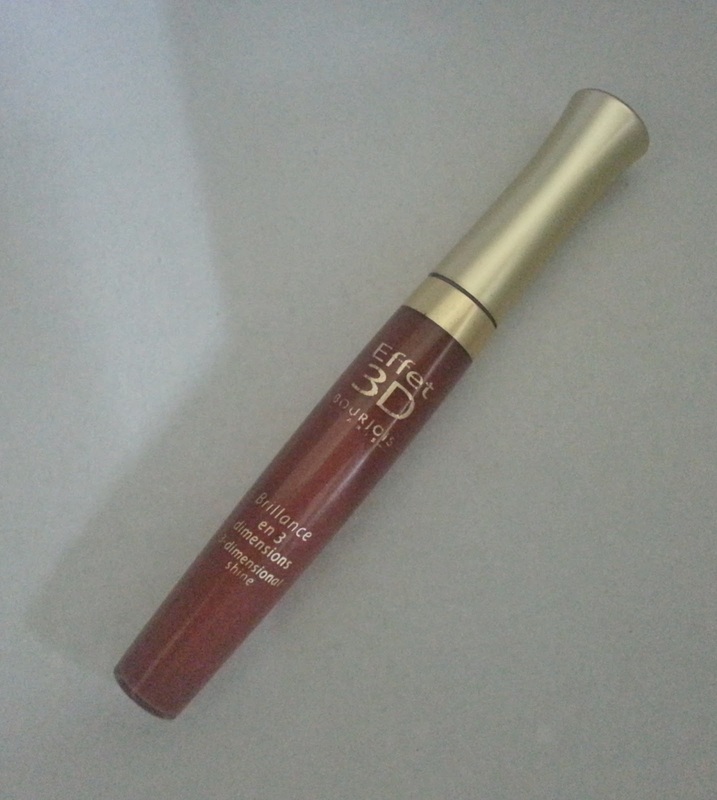 It's a must have for girls with medium to dark complexions and is great for day wear. The packaging. Acrylic tubes with gold tops. The font on the tubes fades away gradually. They soften the lips and create a plump. They last hardly an hour (which is disappointing). The Bourjois Effect 3D Shine Lip gloss comes in 16 shades. The bottle contains 7.5 ml of the product. Available at: You'll find it online at Just4girls and Emporium Cosmetics and locally, you'll find these at Naheed's. Prices may vary though. Conclusion: If it wasn't for the staying power, I would have given these glosses a better rating. There's nothing bad about them otherwise. Recommended? Give them a try.